Skull Earrings There are 4 Reviews. 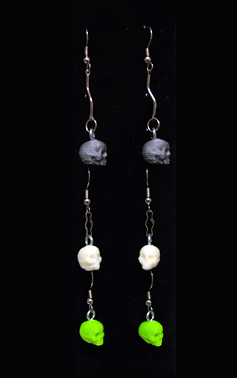 Skull earrings available in Grey, Glow In The Dark, and Nuclear Green. Available in Long, Medium, or Short styles.